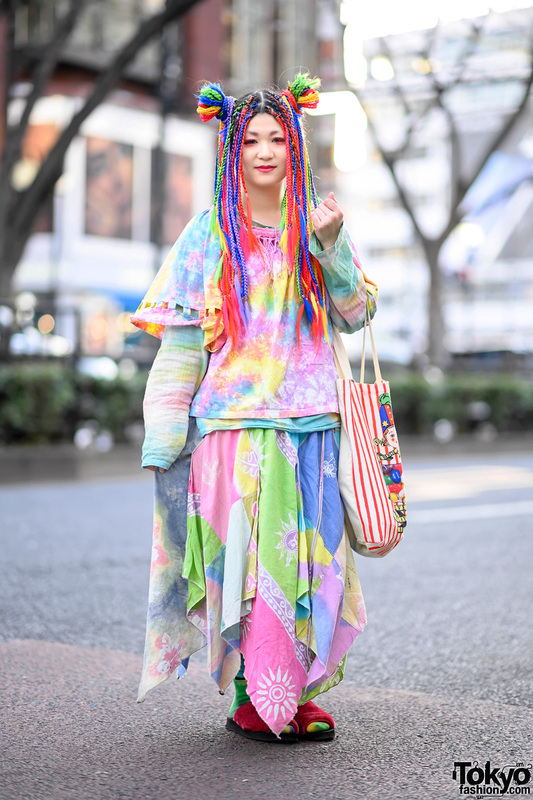 This is Ezaki Nanaho, a friendly and stylish girl who works at the famous Nadia Harajuku boutique. 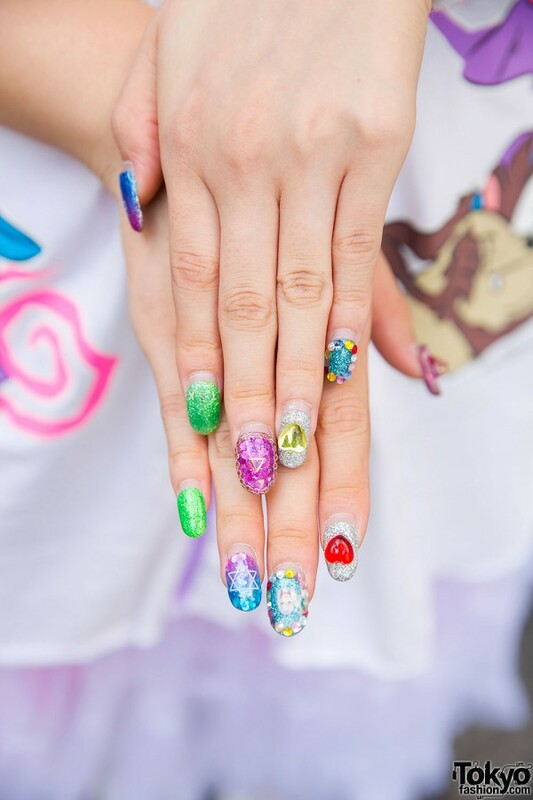 Her green hair, pastel eye makeup, and Barbie nail art caught our eye this time. Nanaho is wearing a resale cartoon (Looney Tunes) print baseball jersey with a tulle skirt from Nadia over resale bottoms. Her white sneakers are Nike and she accessorized with a checkered tennis wristband and rhinestone nail art. 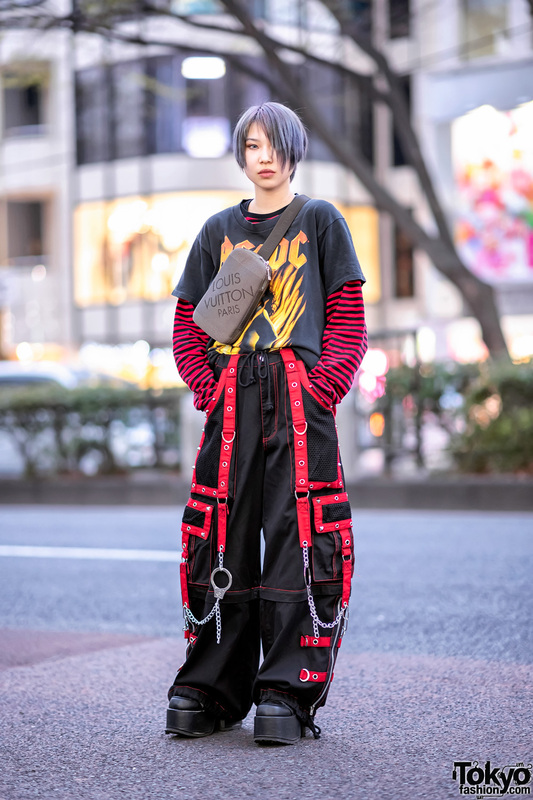 Nanaho’s favorite shop is Bubbles Harajuku and her favorite music is K-pop. You can learn more about her by following nnh_princess on Twitter. Cute face and I adore the fact that she went for a pastel bold makeup ,also I like her shoes but her outfit looks like she just came from a pijama party and her hair has really some nice colors and nuances but it looks lifeless. her use of pastel colour in her make up and with her hair and clothes is so cute and subtle but it stands out <3 cute!!!!!!!!! !